Many of us believe that the biggest threats to our personal security are through installing malicious software, browsing a malicious website or a vulnerability on our computer. So, we install security software to warn us when we're installing files that could cause damage, a potential website which might extract our personal data and we make sure we update our software so any vulnerabilities are patched. However, there are more glaring and obvious care-free issues and that involves our use of a wifi network. Go work in a cafe or connect to public wifi at an airport and you put your personal data in the hands of their security or, in the case of some open wifi networks, no security whatsoever. Indeed, some of these wifi networks can even be rogue, setup to collate all the information you submit when you browse the internet. 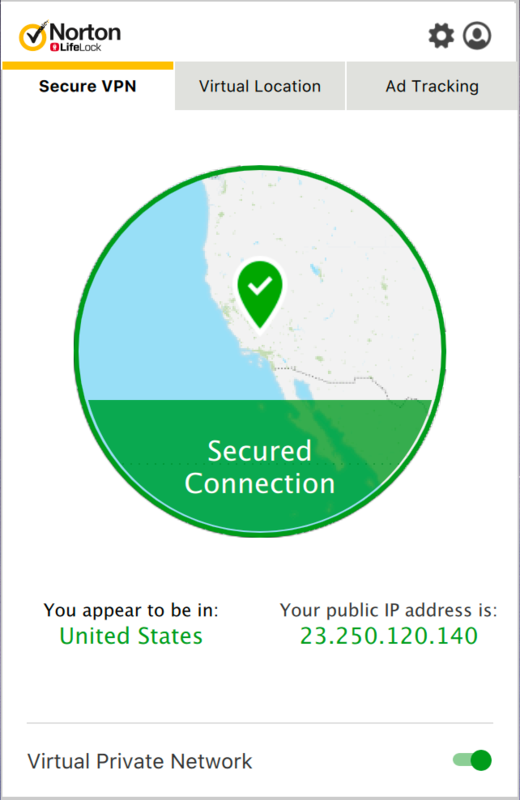 Installing a VPN is the solution and there are few better than Norton Secure VPN. On a basic level, a VPN (virtual private network) will create a secure tunnel between your computer and any network, encrypting your data with military-grade technology which means no-one can intercept or understand your private data. VPNs offer additional benefits. They allow you to browse the internet anonymously - when you use a VPN you can't be traced back to your computer, which is a huge bonus to avoid being hacked or if you want to safeguard your location when you use the internet. Indeed a VPN will also enable you to choose a completely different country, so you can locate yourself in, say, the United States and stream content as if you were a native American. Alternatively, if you are on vacation in the States, you can use your VPN to locate yourself back in the UK. Other locational options include most countries within Europe, Australia, New Zealand and Canada. 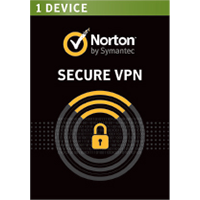 Norton Secure VPN offers unlimited data and you can choose to leave it running continually or just when you need that additional layer of protection. This version includes a 5-Device, 1-Year license.